The City Daily Photo theme for April is “Cobblestones”. I could not come up with cobblestones proper, but I think this fills the gap. 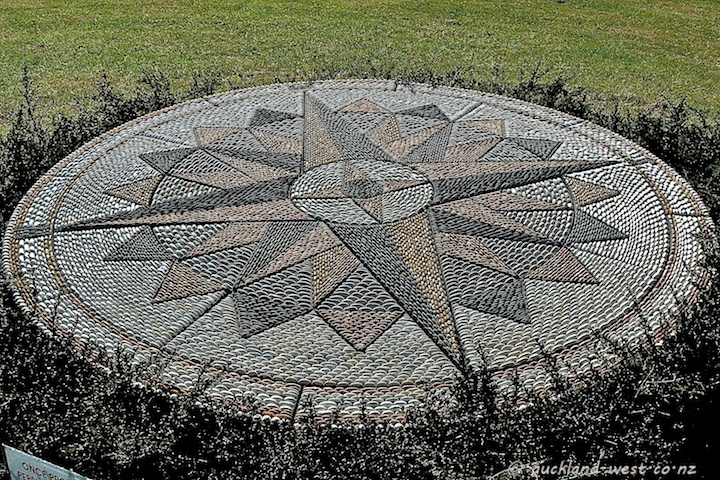 John Botica is enthusiastic about pebble mosaics, as you can see on his profile. There are various other of his mosaics in public places in Auckland, especially a large one at Western Park (top of Ponsonby Road) and also at the Mangere Arts Centre. The photo shows John Botica’s entry to the recent Harbourview Sculpture Trail at Te Atatu. Click here to view thumbnails for all participants in the cobblestone theme.